Hey, guys. This week I’m going to talk about Medicine Park, Oklahoma, which my wife and I explored on Labor Day. Medicine Park is about an hour and a half drive from Oklahoma City, and the resort town is unique for its cobblestone decor, which are these round red rocks. It’s a fun day trip. 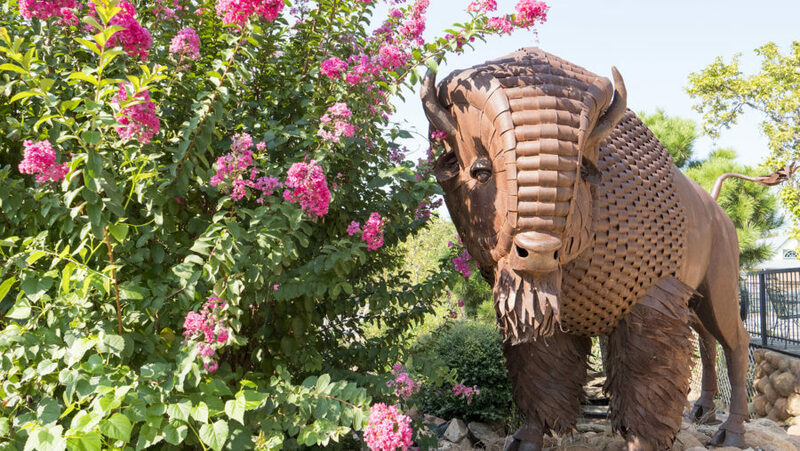 Besides shopping and eating, there are sculptures to find all over the town, a scenic river trail, and what’s referred to as a bath late for swimming. The newest addition to Medicine Park is their aquarium. 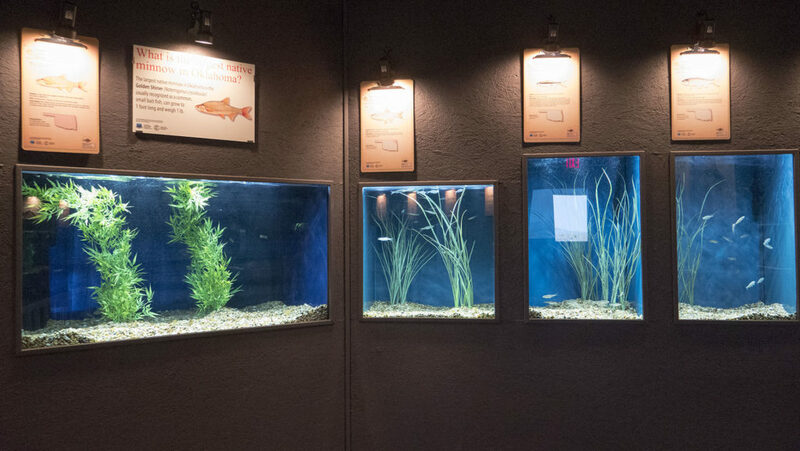 The Medicine Park Aquarium and Natural Sciences Center just opened back in May. It’s been a long journey for them, and it’s great to see that they’re open. 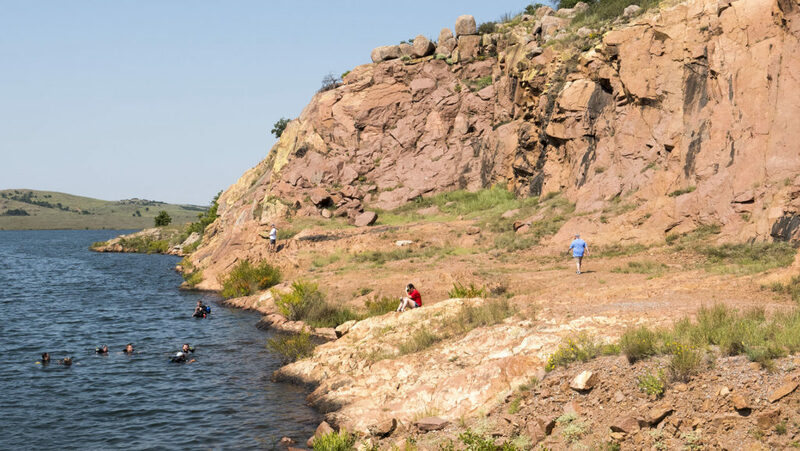 Most of the marine life is from Oklahoma, so it’s great way to learn about creatures in the state, and they have a wildflower and butterfly garden too. Also, keep in mind when visiting, they are new, they started small, and they have plans to expand and keep getting bigger and better. 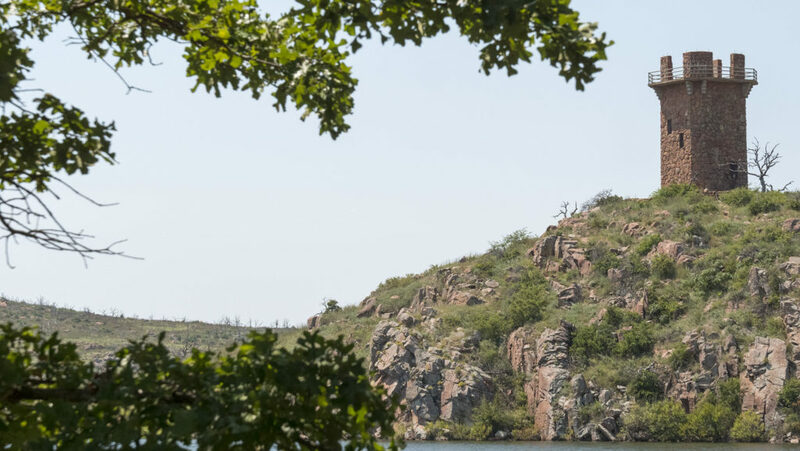 While visiting Medicine Park, you have to check out the Wichita Mountains Wildlife Refuge. There are free range buffalo and cattle, which you need to be careful about, along with prairie dogs and other animals. The scenery is incredible, and one of the best views can be found on top of Mt. Scott. There’s lots to do in the area, including scuba diving and learning about the refuge in the nature center. In past visits, we’ve seen this tower that we had no idea how to get to or even if we could get to it. Well this time, we found it. Near the Holy City, there is a sign that says Tower Trail, which leads to a parking lot where you can hike to it. It’s a half mile journey one way, and I would say it’s intermediate in difficulty. Sadly, while you can get to the tower, you cannot get on the tower. Still, it’s a cool hike and another spot to take pictures. That’s it for this adventure. If you’re interested in buying some of my photos, click here. Be sure to subscribe to my channel, share this video, and tag your friends that you want to take this road trip.